Hi everyone! I'm back with my second card for today. This one using Magnolia's Waterlily Tilda stamp. This is the card that I made for my mom for Mother's Day. I used Spectrum Noir pens to color up this adorable image. 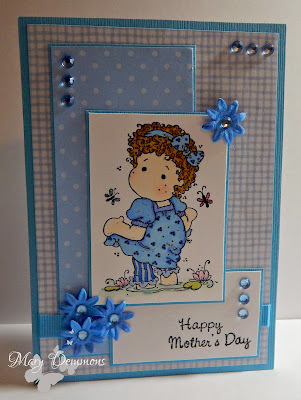 I layered card stock, patterned paper, flowers, ribbon and gems, along with the May sketch #1 from the Viva La Verve challenge, to finish off the front of my card. Sweet image...Thanks for joining Brown Sugar Challenge! 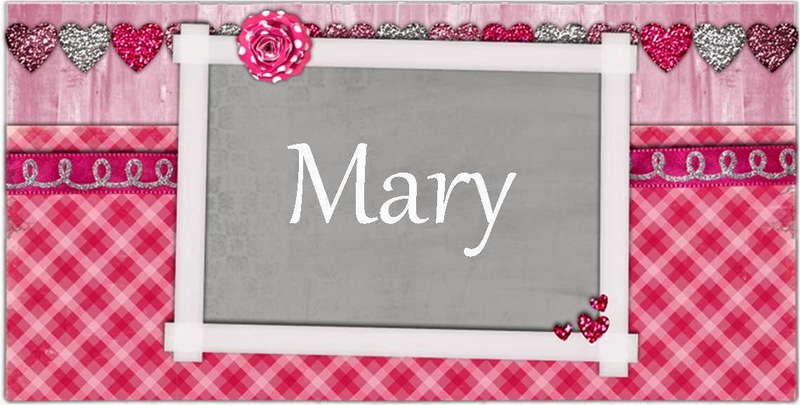 Awww this is so adorable Mary! Thanks so much for joining us at The Sisterhood’s ‘Celebrating Mom’ challenge and please come back again soon! A wonderful card! Thank you so much for joining our All About Magnolia Challenge! Hope you joining again next month! Very pretty, your mom loved this I'm certain! Thanks for playing along with us this week at Sentimental Sundays! Sweet card.Thanks for joining us at Frosted Designs. Such a cute image you chose to work with! Thanks for joining us at The Sisterhood of Crafters! Love this!! Thanks for playing along with Frosted Designs!!!! Adorable! Thanks for joining us at Frosted Designs! Just adore this stamp! Thank you for joining us at Crafts Galore Encore challenge ' Anything for May'. Love Monika DT. So darling! Thanks for playing along with Viva la Verve!